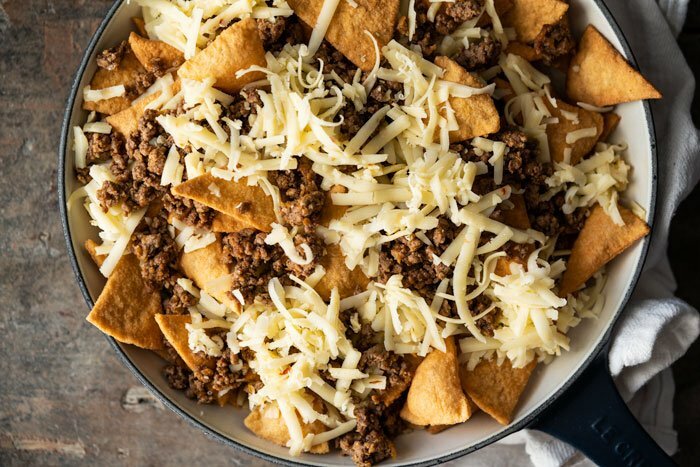 These keto nachos (with our legit tortilla chips!) 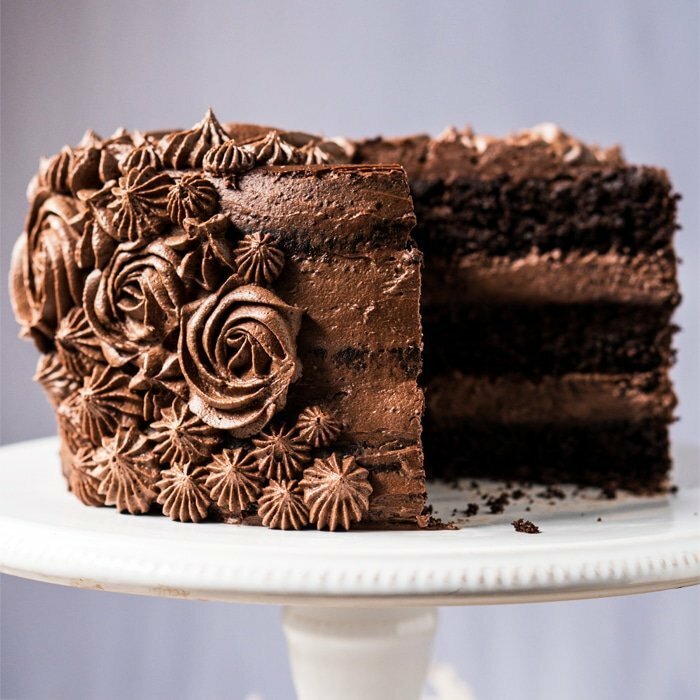 are ultra delicious and easy-peasy! 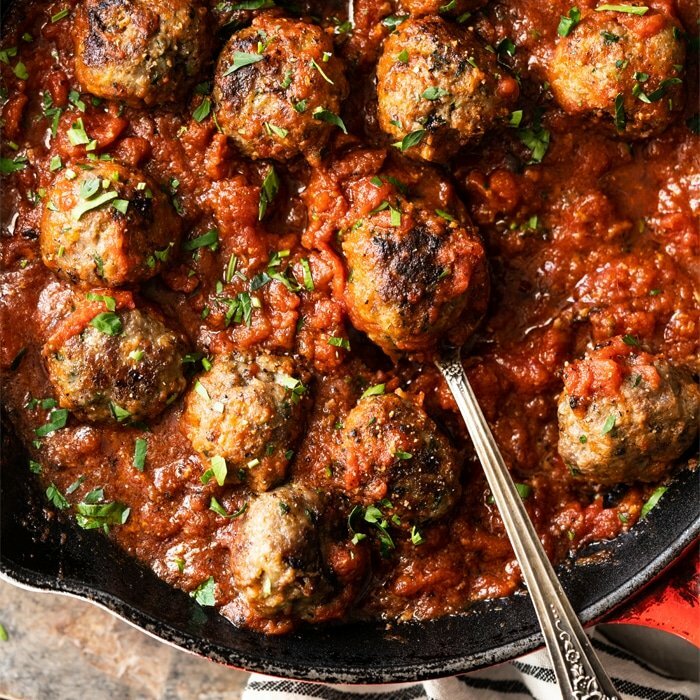 Whip them up for quick weeknight meals, as the ultimate snack (ahem, weekend munchies! ), and of course as a game day special! With Our Legit Tortilla Chips! You’ve met our 15-minute keto tortillas already right?! Did you know you can also whip up some awesome tortilla chips with it?! And these really do make terrific nachos. There’s also not much to them, just a beautiful symphony of flavors. Think layer after layer of our chips, followed by a decent amount of cheese (pepper jack being my fav here), and a spiced up ground beef. Easy enough! Oh, and if you want to take the lazy route and skip the tortilla chips you’ve got a couple options. You can either go the pork rind route (the baked pink Himalayan ones will work the charm), or you can even whip up some jicama fries (yup, seriously!). Loaded jicama fries are epic, in any shape and form, and are something y’all need to try asap! These are super duper awesome guys! I particularly love them with a ‘Dorito’ dust topping and some sour cream. Or equally epic with some guac! There are a couple ways to whipping up the chips, and each will give you slightly different results. You can either do the tortillas per usual, cut them up and pop them in the oven (or dehydrator) until crisp. 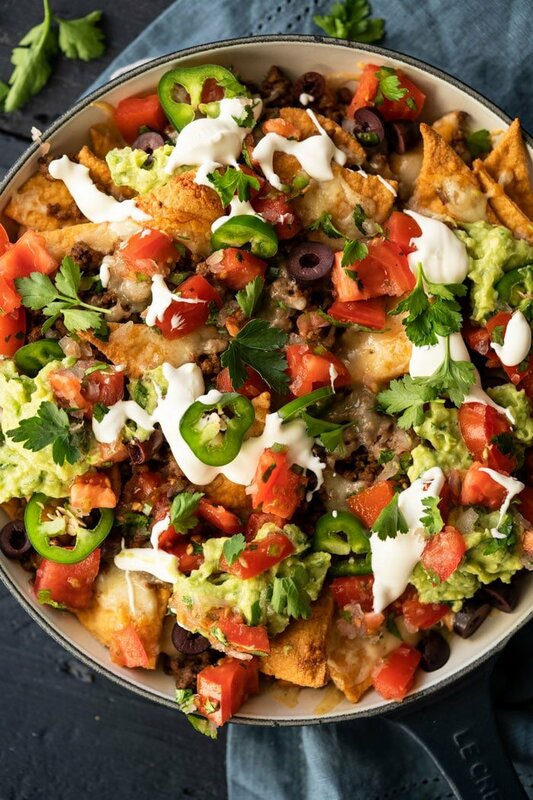 Not much extra active time, and solid results for these nachos. Alternatively, you can go the extra route to get puffy tortilla chips (!!). These do require you to fry them up and them pop them in the oven (so roughly 20 min more). Both are well and good, so read up the post for the actual tortilla chips for more deets. I particularly love these Kalamata olives in my nachos, they’re totally optional but add a lovely depth. I totally forgot to add them pre bake (oopsie!). But if you do forget, simply pop them under the broiler for a few and pretend like it never happened. And do go crazy on the toppings. It’s definitely a nacho requirement in my book! Don’t miss out on our keto burritos! So (so!) good. 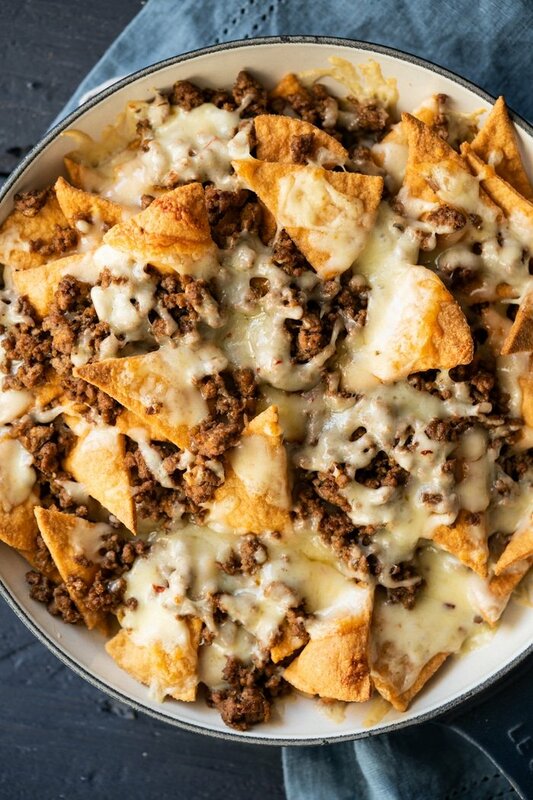 These keto nachos (with our legit tortilla chips!) are ultra delicious and easy enough! Whip them up for quick weeknight meals, as the ultimate snack (ahem, weekend munchies! ), and of course as a game day special! 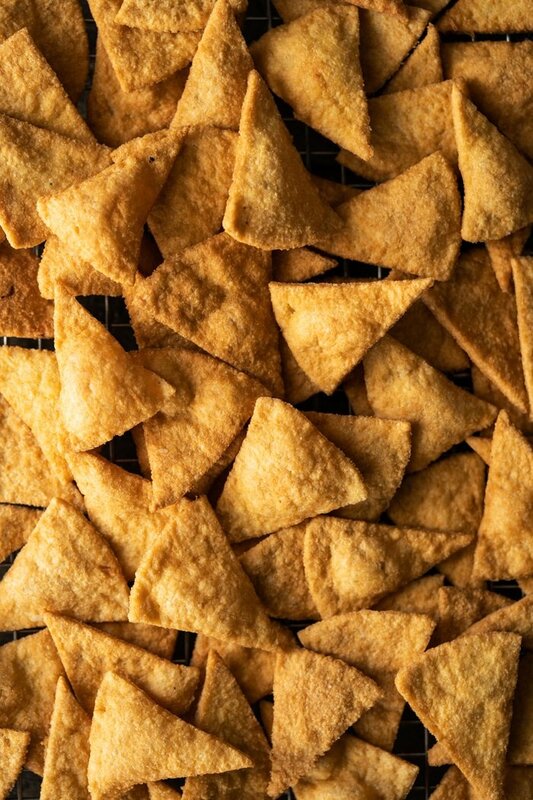 Make a batch of our keto tortilla chips. Try and get them extra crisp by either using a dehydrator or leaving them in the oven at around 250F (time will vary, so check in on them every 15 min or so). Set aside to cool while you prepare the rest. Heat up oil in a skillet over medium heat. Add in garlic, onion, bacon (optional) and cook, stirring often, until the onion begins to caramelize (7-10 minutes). Add in the ground beef with the taco spices, and continue to cook until the beef is cooked through. Try and drain your beef of excessive juices so it doesn't turn your tortilla chips soggy. 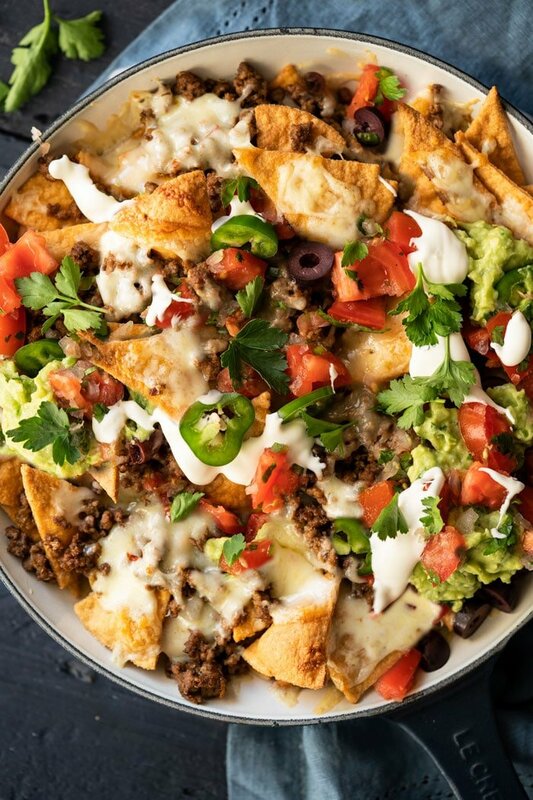 In a baking sheet or oven-proof skillet, arrange a layer of tortilla chips, followed by cheese, beef and olives (optional). Repeat with a second layer and broil until the cheese melts. 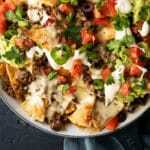 I prefer to do a quick broil to ensure the meat juices don't turn the tortilla chips soggy. *I'm personally not the biggest cumin fan so I add it sparingly (1/4 tsp), but if it's your thing you can add up to 1/2 tsp. Please note that nutrition facts were estimated assuming a yield of 4 (tortilla chips, beef and cheese). Nutrition values for the toppings will vary a lot depending on quantities, etc (but on average, they won't be more than 1-3g net carbs). Is it possible to make these ahead….I was hoping to make them a day or two in advance….any suggestions? Any possibility that these could be fried in an air fryer? I actually threw a few into my airfryer this weekend while I was making a regular batch, to see if it would work and it did beautifully! The even puffed up a bit. A couple mildly over cooked but still totally edible. I posted a photo on Pinterest. I posted about it on Sunday but haven’t seen it show up. I’M DROOLING!!! Your cheetos were awesome also!! 😂!! Wonderful to hear on all accounts Matt!